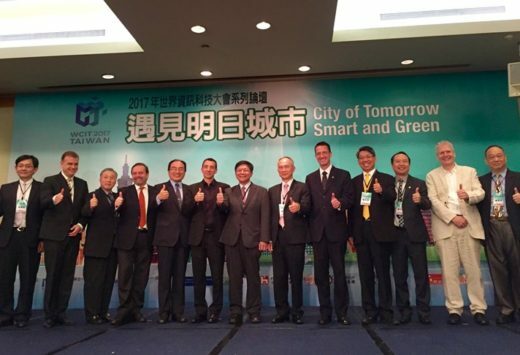 On 27 May, the ECCT's Low Carbon Initiative (LCI) was privileged to support the Industrial Development Bureau (IDB), under the Ministry of Economic Affairs (MoEA) to hold a kick-off forum ahead of 2017 World Congress on Information Technology (WCIT) on the subject "City of Tomorrow - Smart and Green." 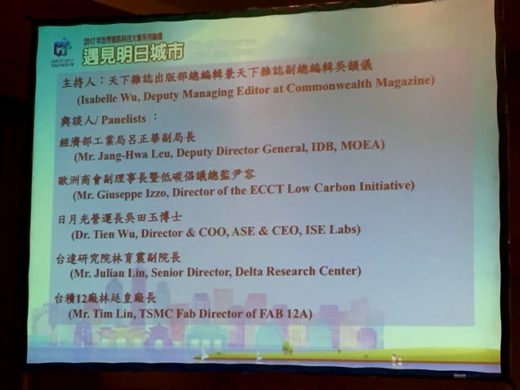 The event, organised in cooperation with the Institute for Information Industry (III), CommonWealth Magazine and Business Weekly Magazine, featured opening remarks by MoEA Minister Lee Chih-kung, two keynote presentations and a panel discussion. LCI Director Giuseppe Izzo participated in the panel discussion, which was moderated by Isabelle Wu, Managing Editor of CommonWealth Magazine. The WCIT is a flagship event which has been organized by the World Information Technology and Services Alliance (WITSA) since 1978, and is often referred to as the "Olympics" of the ICT industry. 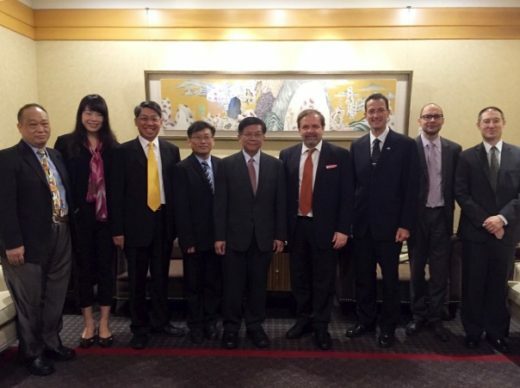 Taipei's last hosting of the WCIT in 2000 received high praise and raised the bar for subsequent congresses. He remarked that Taiwan has been extremely successful in IT hardware but needs to integrate hardware, software and services to increase margins and value and drive innovation. 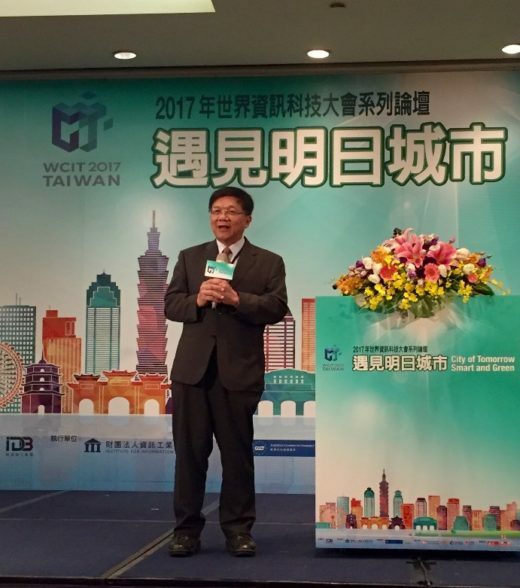 To drive further development, he wants to promote Taiwan as a testbed for new technologies and innovation, including those related to smart cities. In this regard, the MoEA wants to facilitate greater cooperation between the government academia and the private sector in order to turn good research ideas into viable business models. The first keynote presentation was by delivered by Associate Professor Federico Casalegno, Founder & Director of the Massachusetts Institute of Technology's (MIT) Design Lab. Casalegno made the point that up to 80% of the populations of modern cities were not born locally but moved there from somewhere else. For this reason it is essential that cities respect multiculturalism. Tesla's latest electric car is the first example of a vehicle built for the internet paradigm whereby the car's programmes can be upgraded via the internet and data can be transferred between vehicles and the cloud. MIT is working with a large hotel chain to make its hotel lobbies smart. Casalegno showed videos of several innovative developments whereby the hotel's tables and lamps feature systems able to read and analyse data accessed from people's smart phones to alert them that there are other people nearby with related interests or to make suggestions based on their immediate needs. For example, Casalegno showed a video demonstrating the potential for smart and intelligent systems making use of smart phones and location-based software. In the video a system, which was embedded in a lamp next to a hotel sofa, recognized a user via his smart phone as soon as he sat down. The screen on the lamp displayed a greeting using the man's name. By accessing his calendar it was able to work out that he was due for a meeting in a few minutes but had some time to spare. It flashed the message: "You're early. Why not get a cup of coffee?" The system knew what kind of coffee the man preferred and the screen displayed a message saying that his favourite coffee was available as well as an arrow pointing in the direction of the coffee shop. When the man returned to the sofa, a message on the screen alerted him to the fact that his favourite jazz band was playing that night and automatically purchased an e-ticket for him, which was dispatched immediately to his smart phone. Casalegno went on to demonstrate a number of new possibilities related to connected and autonomous vehicles. He concluded that while technology is advancing rapidly and has much potential, we need to be aware that the benefits have to be perceived by people for them to be worth pursuing. For example, the human eye is not sophisticated enough to tell the difference between 4K ultra-high definition television and 5K. If this is the case, televisions intended for human entertainment need not go further than 4K. The second presentation was given by Raoul Bunschoten, Professor of Sustainable Urban Planning and Urban Design at TU Berlin University. 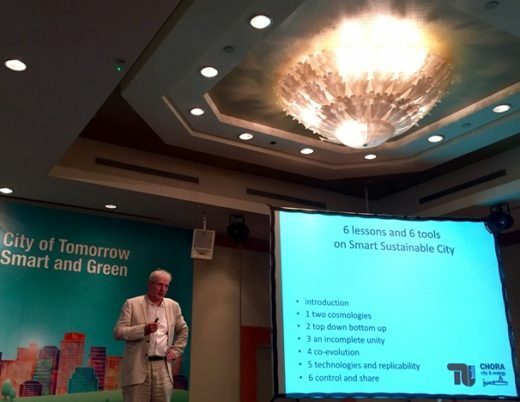 Bunschoten outlined lessons and tools to create smart and sustainable cities. He made the point that we cannot stop the growth of cities but we have to control the way they are developed or else development will be disorderly. 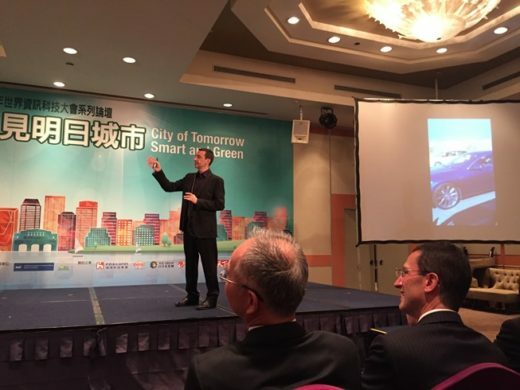 He cited Berlin as a pioneer in smart city development. 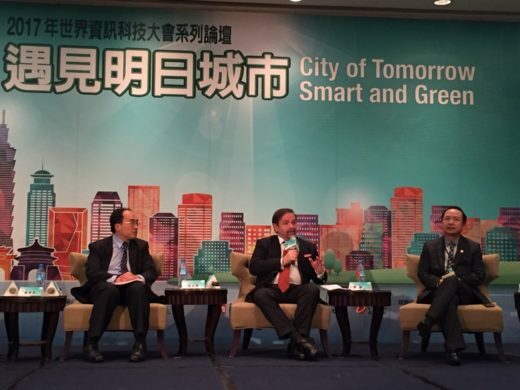 That city plans to become climate neutral by the year 2050 by cutting carbon emissions by 85%. Berlin has set up so-called future sites to test new technology and solutions. He stressed that urban planning needs flexibility in order to accommodate any new and better solutions that may be developed in the future. The panel discussion following the presentations featured, in addition to LCI Director Izzo, Tien Wu, Director & COO of ASE; Tim Lin, Fab Director at TSMC and Julian Lin, Senior Director of Delta Electronics' Research Centre. In his remarks on the panel Izzo introduced the LCI and highlighted the contributions being made by European governments and firms to tackle climate change. Panelists from the private sector shared some of their solutions aimed at cutting energy and water usage and reducing their impact on the environment.